Radius Technology are the Autralian distributer for Dukane. In it’s primary function it designs, manufactures and supplies advanced technology plastic welding solutions used in manufacturing operations throughout the major industrial regions of the world. In addition they develop and apply their high power ultrasonic technology to other industrial applications such as cutting tacky and abrasive materials, welding of metal components, sieving, and fluid processing. Ultrasonic plastic assembly is the joining or reforming of thermoplastics through the use of heat generated from hight frequency mechanical motion. It is accomplished by converting electrical energy into high frequency mechanical motion (vibrations) that creates frictional heat at the joint area. The vibrations, when applied to a part under pressure/force, create frictional heat at the interface and cause the plastic in the joint area to melt, creating a molecular bond between the plastic components. This process is called The Ultrasonic Welding. 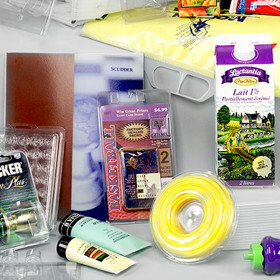 Less energy required than traditional heat sealers. 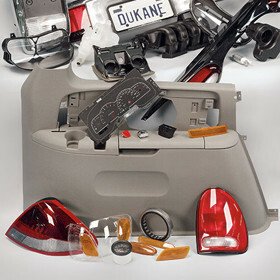 If it has been welded on an automobile, chances are, it's been made with a Dukane product. Our equipment can create many automotive components from complex door panels, dashboards, lights and lenses to bumpers and grills EVERYTHING in between. 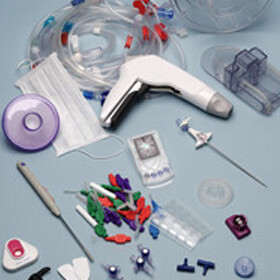 Typical thermoplastic materials found in fabrics and films include acrylics, nylon, polyester, polyethylene, polypropylene, polyvinylchloride, and urethane. 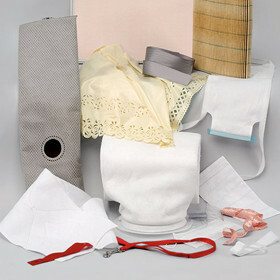 Products in many industries benefit from the fabric & film processing techniques. Ultrasonic package sealing occurs when high frequency (ultrasonic) mechanical energy is transferred into two or more layers of thermoplastic materials. Both hermetic and peelable seals can be achieved with ultrasonic sealing systems - all 100% digitally controlled. 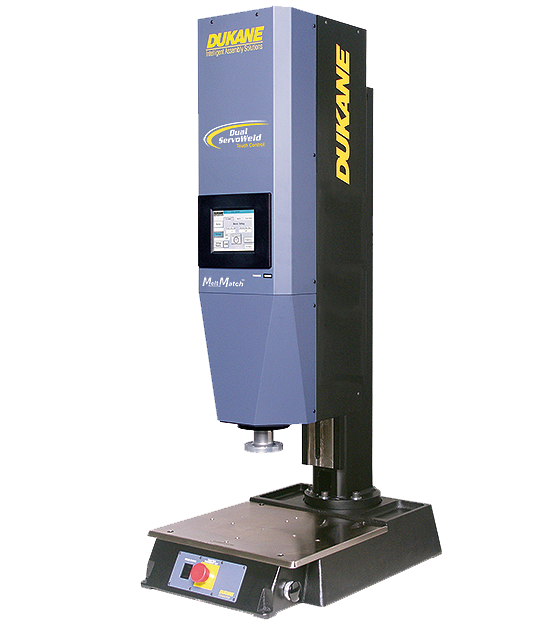 Dukane’s iQ Series Servo Driven Ultrasonic Welder, with patented Melt-Match® technology, has a proven track-record of delivering quality results in welding medical parts like valves, ports, filters, surgical instruments and implant devices. Small Parts Sometimes Require BIG Solutions. Our patented, 100% digitally controlled generator, ultra-rigid Mini press, coupled with the iQ Explorer user-interface provide superior accuracy and ease of use. 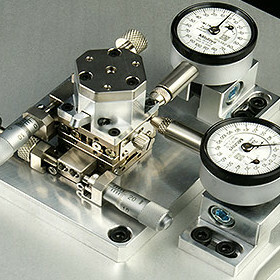 Ultrasonic bonding assembles two or more layers of materials by passing them between a vibrating horn and a rotary drum (often referred to as ananvil). The rotary drum is usually made from hardened steel and has a pattern of raised areas machined into it. 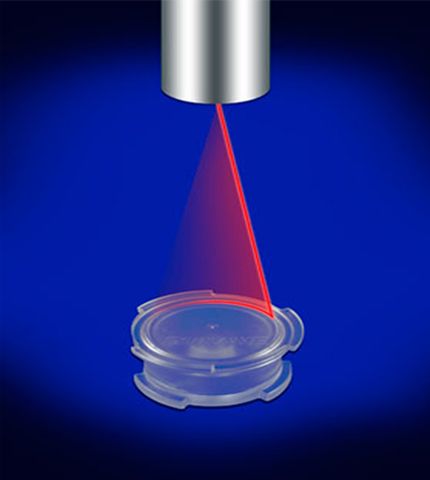 When a thermoplastic material is slit ultrasonically, its edges are also sealed. Sealing the edges of a woven fabric is beneficial because the yarns are prevented from unraveling and the smooth, beveled edges prevent buildup of the roll material. In the plunge method, the material remains in a fixed location and is periodically contacted by the horn. The horn operates perpendicular to the material that is on the anvil. The horn can also be used to cut and seal. Dukane's Rotary 30kHz Ultrasonic Sonotrode (Horn) is ideal for sealing thin films and non woven materials. The unit can be easily integrated into automation. The Rotary horn design eliminates drag issues associated with conventional static ultrasonic sonotrodes. Vibration Welding is a highly reliable process that can handle large parts in challenging materials or multiple parts per cycle with ease. Engineered to be tough, dependable and provide years of troublefree service, Dukane’s Advanced Vibration Welders are built for the long haul. Linear vibration welders require no additional materials and provide energy efficient operation with permanent assembly and hermetic sealing. Other advantages include large part capability, internal joints, immediate handling, high production rates and entrapment of other parts. These vibration welders can handle painted and mold release parts. The process of spin welding uses heat generated by rotational friction at the joint line to weld thermoplastic parts with rotationally symmetric joints. 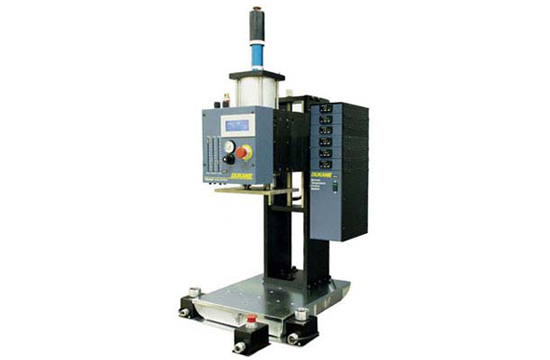 The spin welding machine applies pressure axially while rotating one part against its stationary mate, and the resulting friction generates heat that melts the parts together. 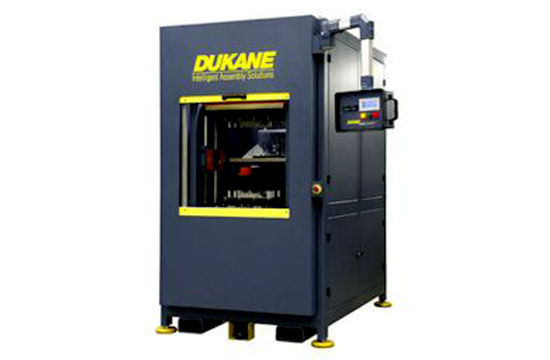 Dukane Ultrasonics offers a range of advanced, high quality spin welders in stand alone or fully automated units for today's advanced applications. Dukane spin welders work with most thermoplastics, will accommodate large diameter parts, and easily achieve hermetic seals. Dukane's spin welders provide precise control of the melt temperature and contain the ability to weld large, complex parts. The result: excellent weld strength and hermetic seals every time. The most efficient method of joining circular parts is spin welding (Frictional Rotational process) which provides strong hermetically sealed bond. 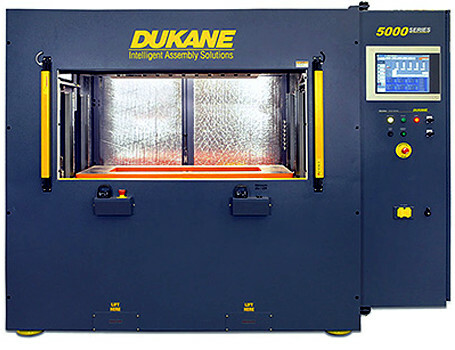 Dukane Intelligent Assembly Solutions offers a range of advanced, high quality spin welders in stand-alone or fully automated units for today's advanced applications. The ideal assembly solution for medium, contoured, or complex thermoplastic parts - hot plate welders. Designed for versatility and easy tooling changeover to accommodate a variety of parts. Typical hot plate welding applications include fuel tanks, reservoirs, taillight lenses, and vent ducts. The hot plate welders easily achieve hermetic seals, and finished part weld strength approaching that of the virgin material. 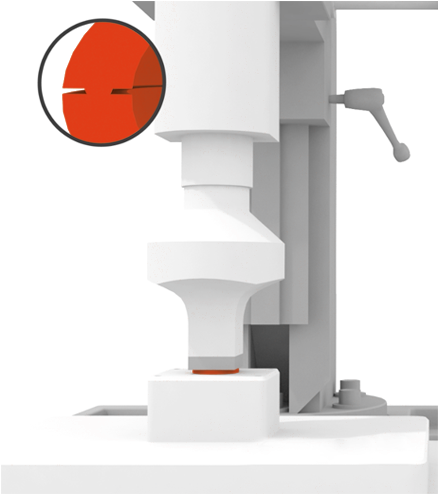 Thermal Presses heat the staking post/insert while applying pressure axially to permanently set the parts. Specially made for the appliance industry, this work cell is designed to attach metal clips to the back of a cosmetic front panel. The heat staker simultaneously heat stakes two posts on each of eight clips securely attaching them to the panel. Laser welding of plastic parts has established itself as a robust, flexible and precise joining process. Laser welding enables highly efficient and flexible assembly from a small-scale production of parts with complex geometries to a high volume industrial manufacturing, where it can be easily integrated into automation lines. 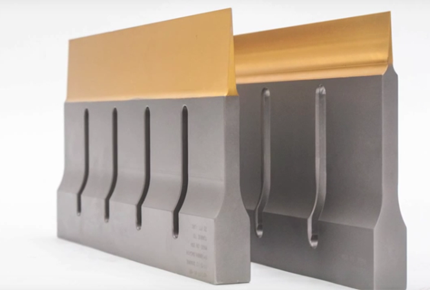 This highly repeatable and clean process with no relative parts movement during the welding cycle offers numerous advantages. 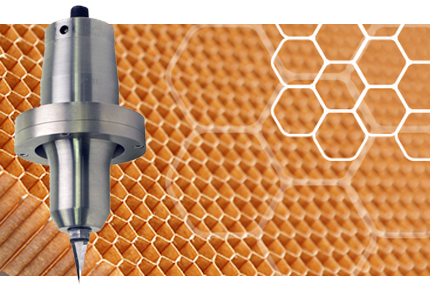 Thanks to its localized heat input and low mechanical stresses, this process enables welding of sensitive assemblies in medical device manufacturing, industrial and consumer electronics and automotive components without damaging delicate inner components by heat or vibrations. As the world leader in Ultrasonic Cutting Technology, Dukane has been at the forefront of development within the Aerospace industry. We work with aerospace integrators to provide bespoke solutions for the cutting of many of the industries difficult and high-value materials. A wide selection of blades and cutting discs combined with our proprietary cutting systems makes Dukane the supplier of choice to many of the world's leading aerospace builders. Ultrasonic food processing involves a vibrating knife (guillotine) producing a nearly frictionless surface to which food products do not stick nor deform. The surface cleanly cuts or slits products including fillers such as nuts, raisins, dried fruit or chocolate morsels without displacement or ploughing. Ultrasonic cutting is used by many of the world’s largest and most prestigious food producers. It is safe, reliable and yields a higher quality finished product with minimized cleaning. 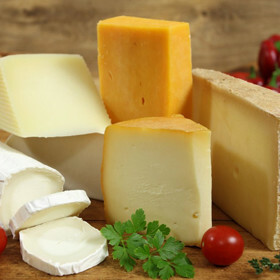 Virtually all types of cheese can be cut successfully with ultrasonics. Ultrasonic cutting will provide better finishes, create less crumbling and reduce downtime due to cleanup or product sticking to the blade surface. 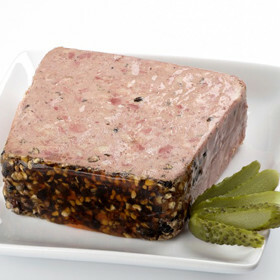 All types of patés and formed meat products may be cut successfully with ultrasonics. Usually product should be chilled to improve the process; however, each application is unique. 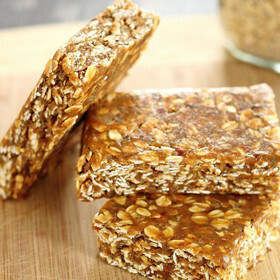 Formed and extruded bar products, as well as other, non-brittle confectionery products may be cut with excellent results. Nuts, raisins and other inclusions usually have little or no influence on the cutting process. 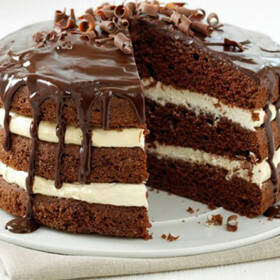 Multi-layer, multi-density cakes are the most common products in this category. Ultrasonics can provide outstanding, aesthetic cuts to high-value cake and bakery products. Soft creams and even inclusions such as nuts or raisins can be accommodated. Baguette or square sandwiches can be effortlessly cut with ultrasonics. 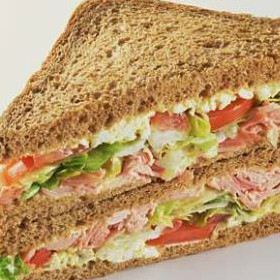 Meats, cheeses, vegetables can be cut evenly and cleanly without disturbing the layers or compressing the bread. Radius Technology can offer you rental agreements on the Dukane range of Assembly units without the burden of a large up-front charge. You can stay in control of your cash-flow, and improve your production efficiencies with a smaller initial outlay and on-going repayments. Contact us to find out how easy it is. For those who need a first-hand look at how beneficial a Dukane Assembly unit can be before committing to purchase. *Conditions Apply - speak to us for more information.